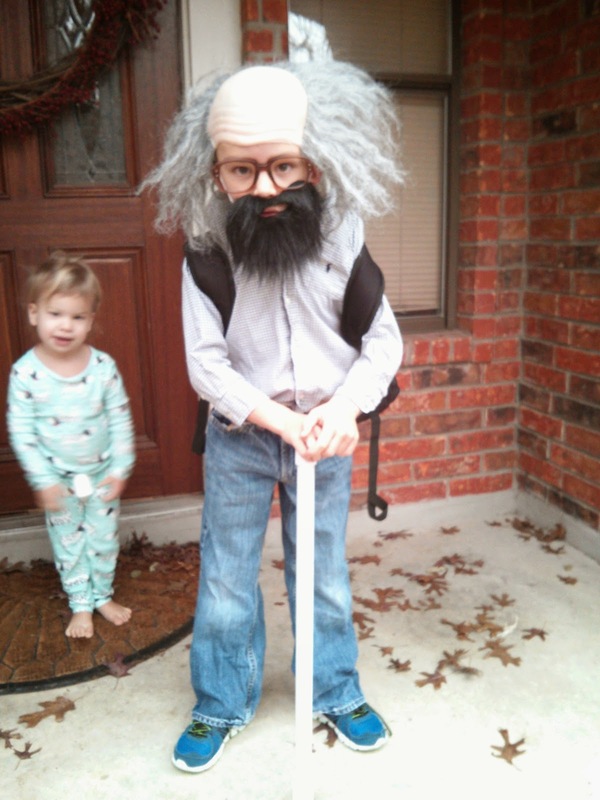 On the 100th day of school, Carson's grade dressed up like they were 100 years old. Carson really wanted a beard, and luckily the dollar store had some! He looked awesome and got to be on Scobee TV that morning. 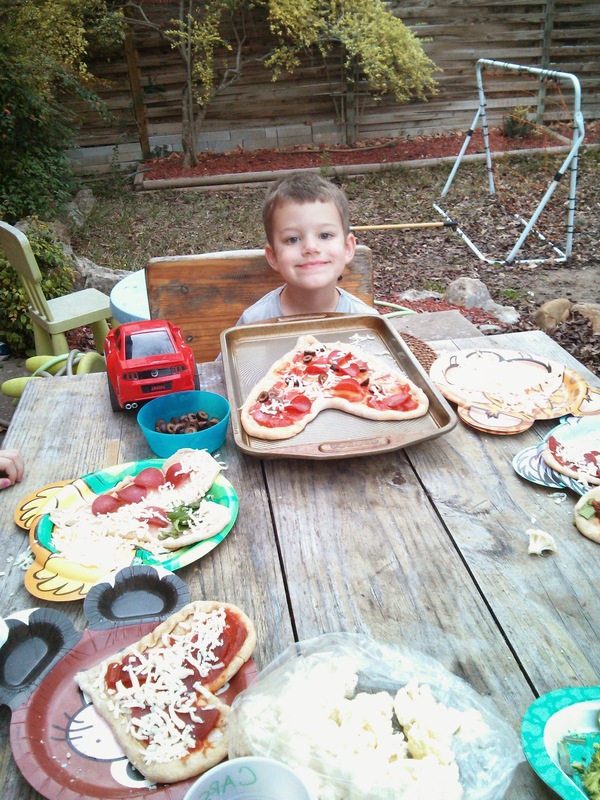 Everett's grade had to create a collection of 100 things; it could have been anything. 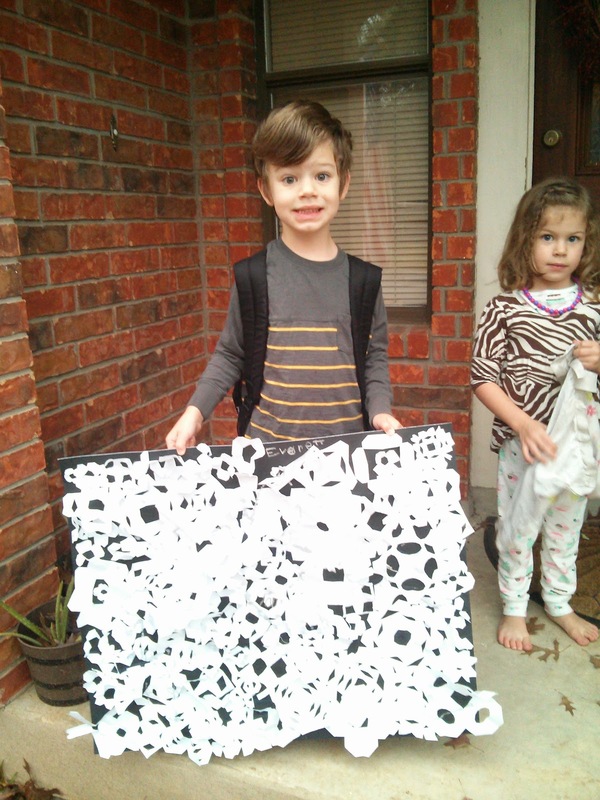 Well, Everett decided to cut out 100 paper snowflakes. It took hours! But he stuck with it and made a poster with 100 snowflakes. 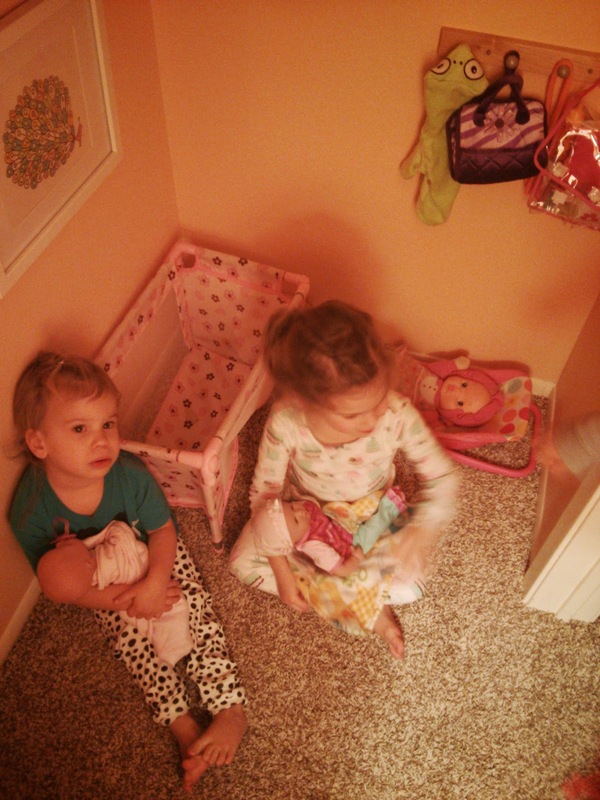 The girls taking care of their babies, putting them to bed one night. Carson reading to Faye and Everett reading to Isla before bed. Magical! 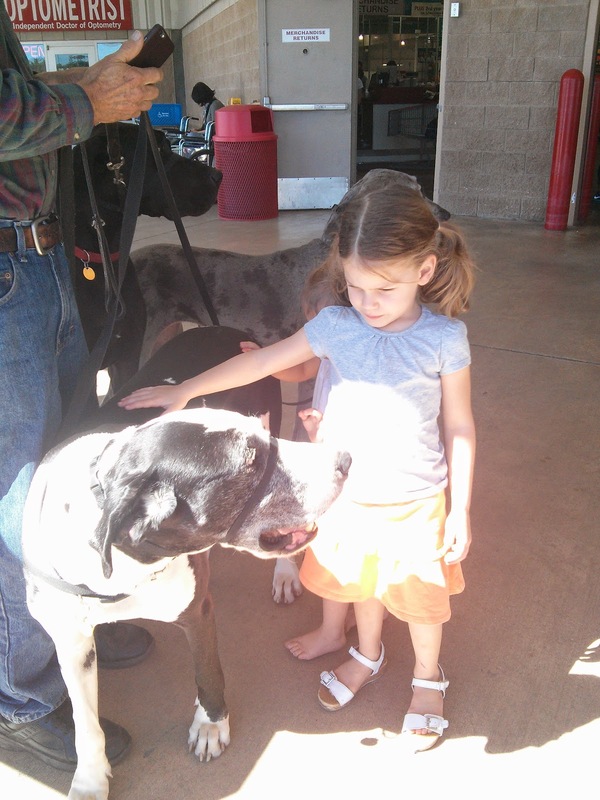 Faye is so comfortable around dogs! 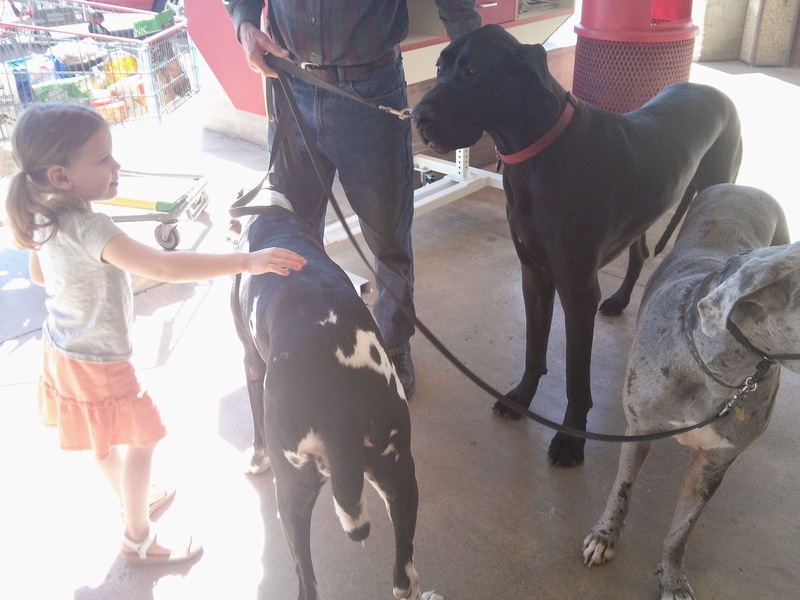 These three Great Danes at Costco were so nice. Valentines Day! 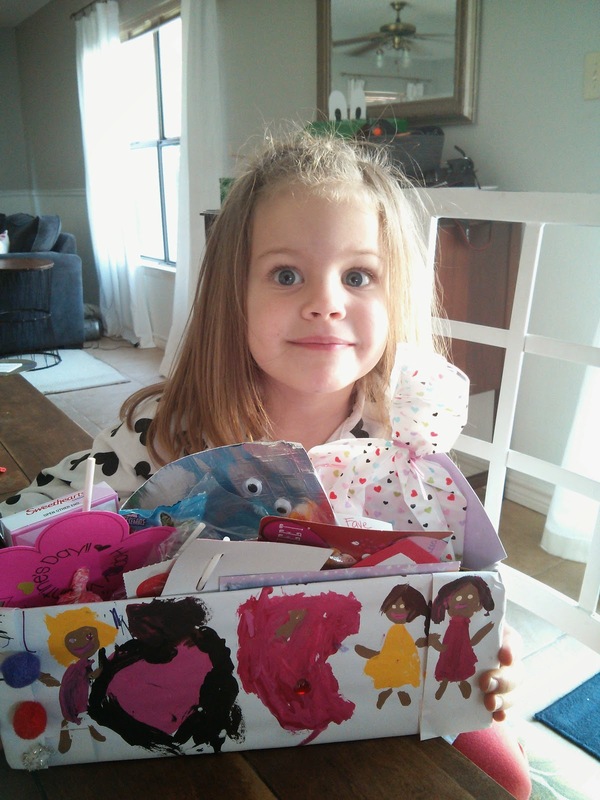 It's a lot of fun to create Valentines and boxes with each child. Carson made Lambeau Field for his box. 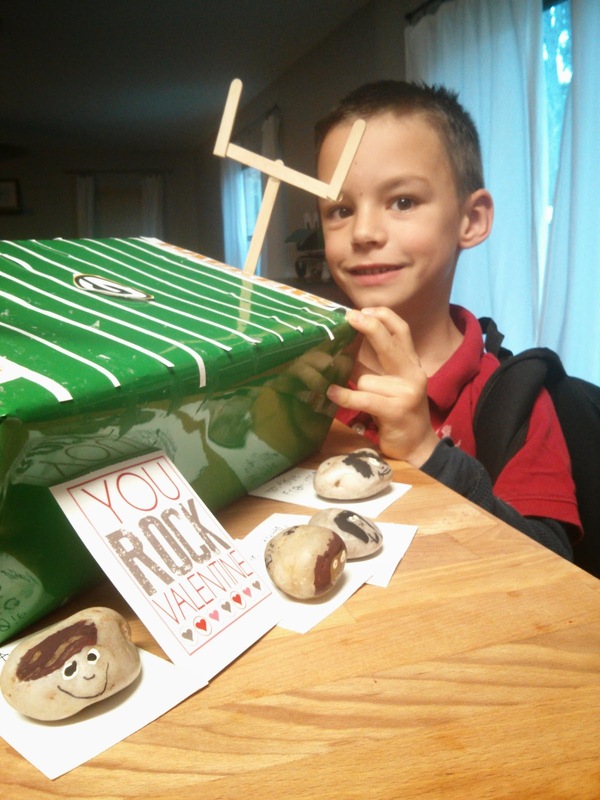 He did pet rocks again for the Valentines, since all the kids in his class this year weren't in his class last year! 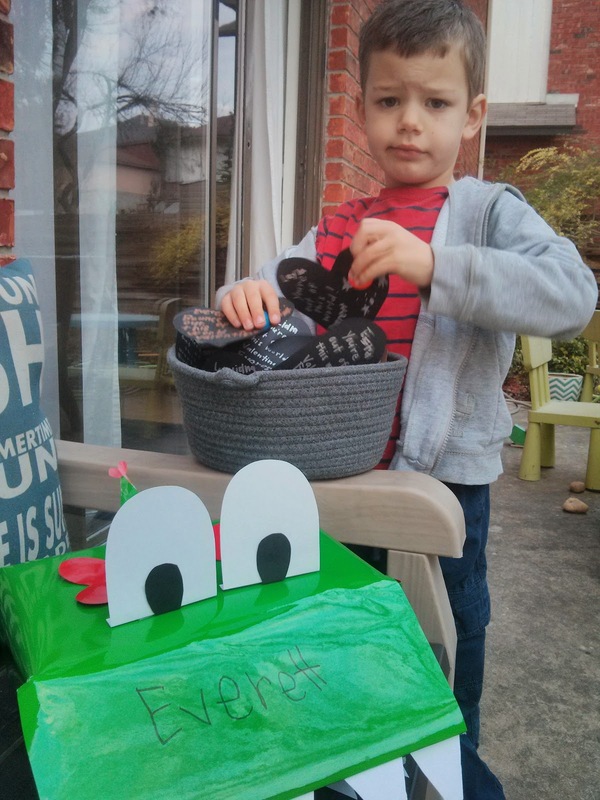 Everett's box turned into a crocodile/alligator thing, and he chose to give bouncy balls. It took him a long time to write out all the cards! He is very careful with his handwriting and takes his time, so he was up pretty late the night before Valentine's Day. And Miss Faye gave spinning tops. She decorated her box with whatever she wanted. One beautiful day in February, Faye and I were outside during Isla's nap. I was working on staining Isla's new bed, and Faye decided to take some pictures so I set her up with the camera. She took some pretty picture of the sky and tree branches, lots of her baby, and some of me too. Everett is often looking for a way to make money. He regularly begs me to let him do a yard sale, so one day I finally said he could do one himself. He sat out there with his pile of castoff toys, and I started to feel nervous that no one was going to buy anything. Some super sweet people did stop, including on older couple who carefully picked out a stuffed animal for fifty cents. 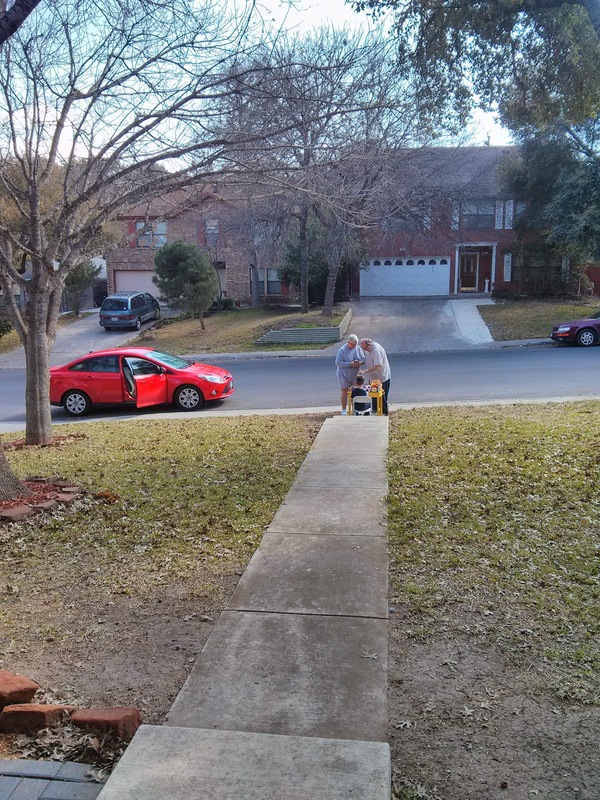 Then there was the guy in the big pick up truck who gave him $10, and a neighbor who gave him $20! I should have told him not to accept more than a dollar; I felt bad about those ones! 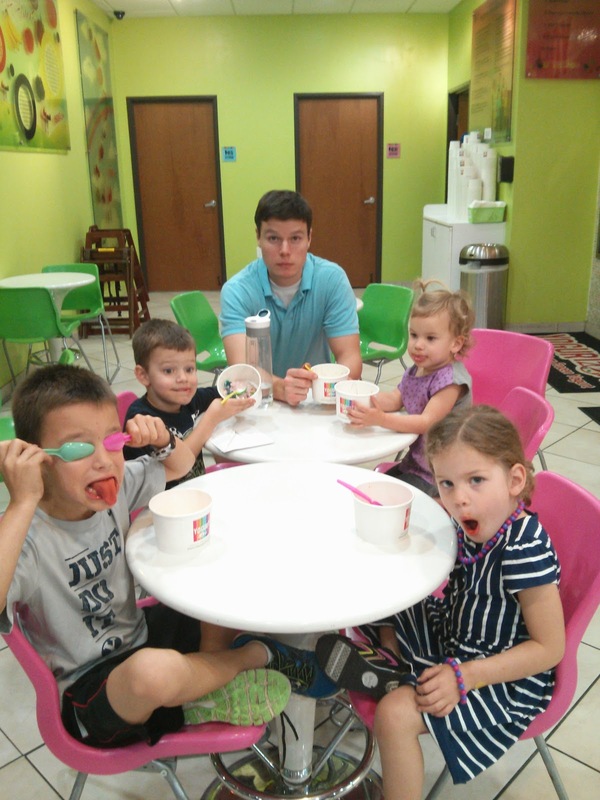 But hey, he made enough to treat us all to Yogurt Zone that night so it all worked out. Rick built Isla's bed for me, and I made a head board for her to match her sister's. 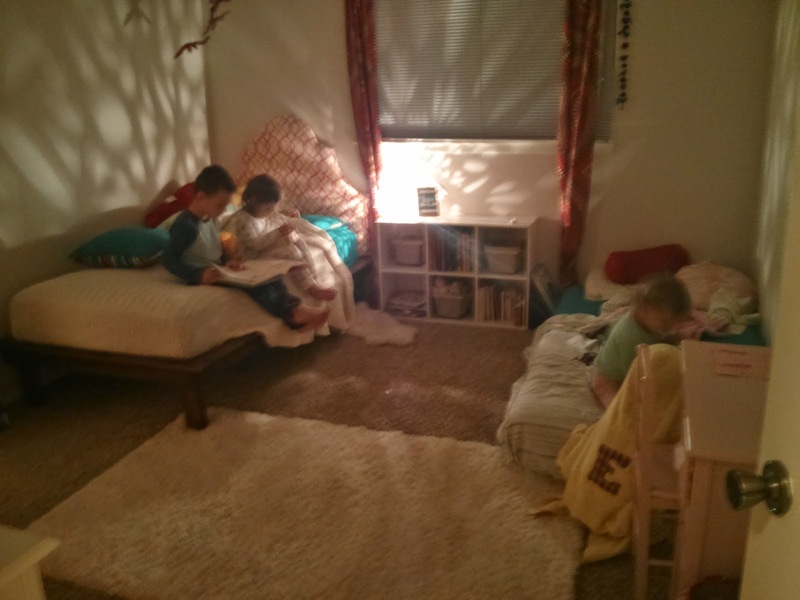 Their room is one of my favorite spaces! I've since added some picture ledges to their walls, so their bedroom is the one completely decorated room in the house. I have a very hard time committing to hanging things on walls! 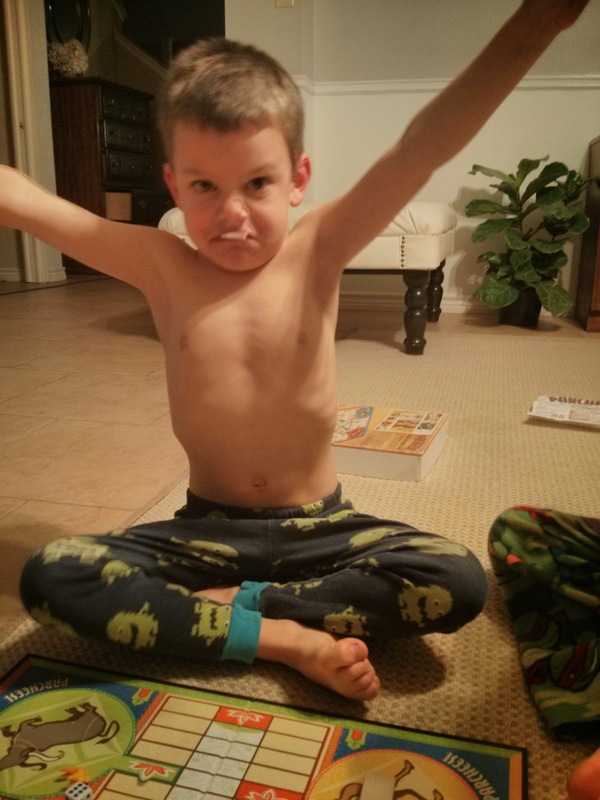 Parcheesi is a favorite game around here. Star of the week at preschool! 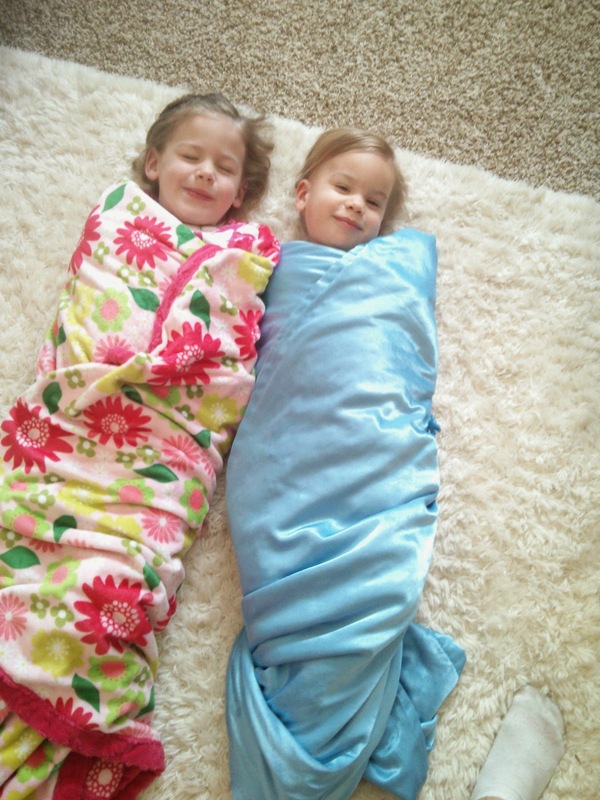 The girls usually swaddle their babies; this day they wanted to be swaddles themselves! Carson participated in basketball for the first time! This was an eight-and-nine-year-old team, so seven-year-old Carson was definitely the youngest and smallest one on the team. It was good for him to observe some really experienced older boys on the team, and he loved being with good friends Cardon and Kennan. Carson did a great job on defense, and he did score twice in one game! 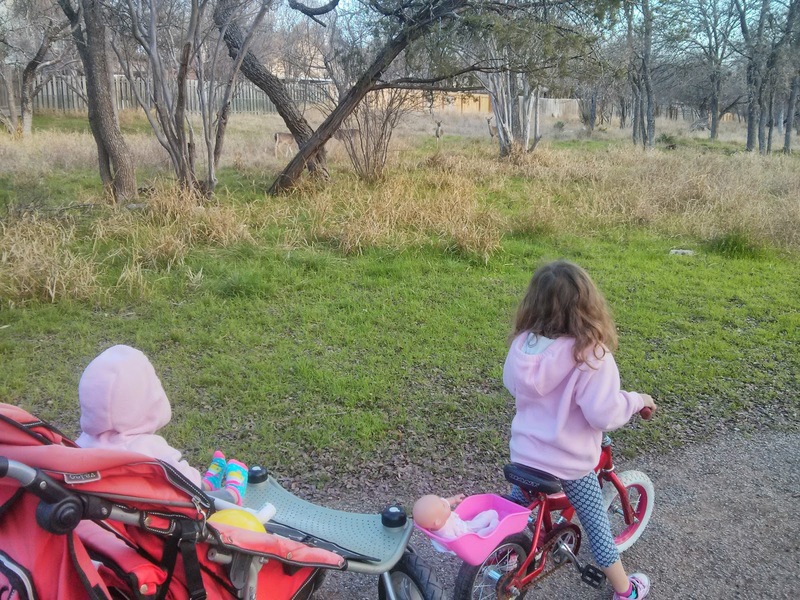 Occasionally the girls and I go on a little walk down the trail by our house. Lots of deer! 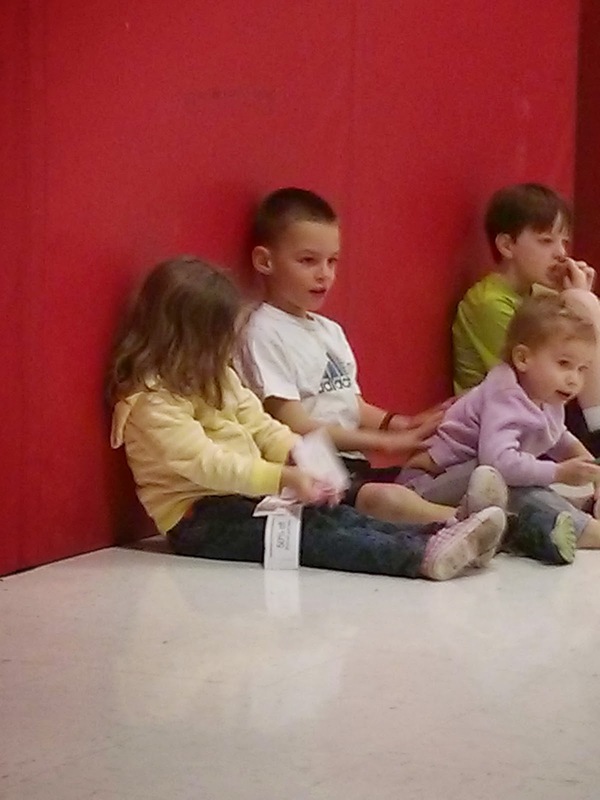 I didn't get any great pictures, but here is Amelia being the teacher for their play school. I also sold a lot of random things on Craigslist. Goodbye colorful dishes!! They were fun, but I was ready for just plain white ones. 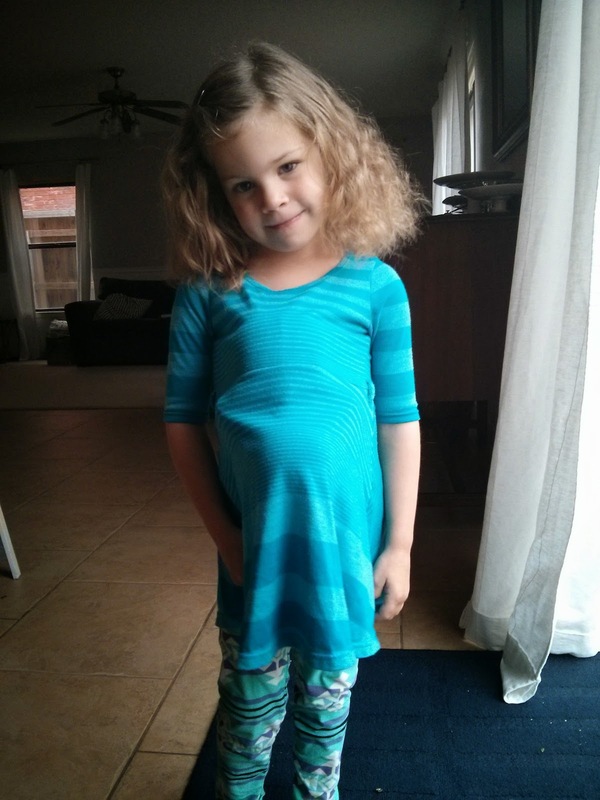 Faye started a two-day-a-week preschool in January. She goes to the YMCA, so we are usually there for me to work out or teach anyway. Her teachers are amazing, she has made lots of friends, she brings home the cutest crafts, and her handwriting has improved a ton! On her first day, I had to run downtown and pick up produce for our co-op before school. 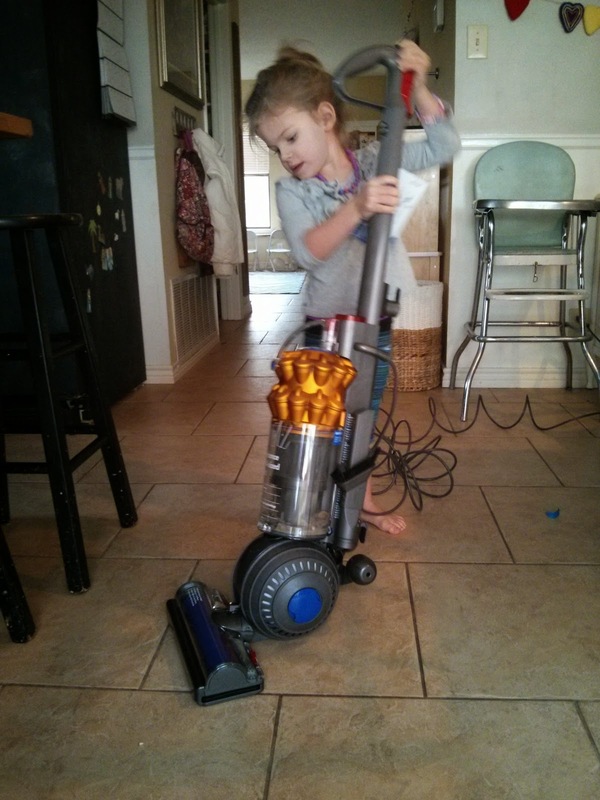 That makes for sort of a hectic morning, and I had no time to do her hair or help her get dressed. She wore the lovely (favorite because it makes her look pregnant) blue shirt and red sweatpants below. Ha! I had to take pictures again her second day because she was a little more put together. We had some really nice weather in January! 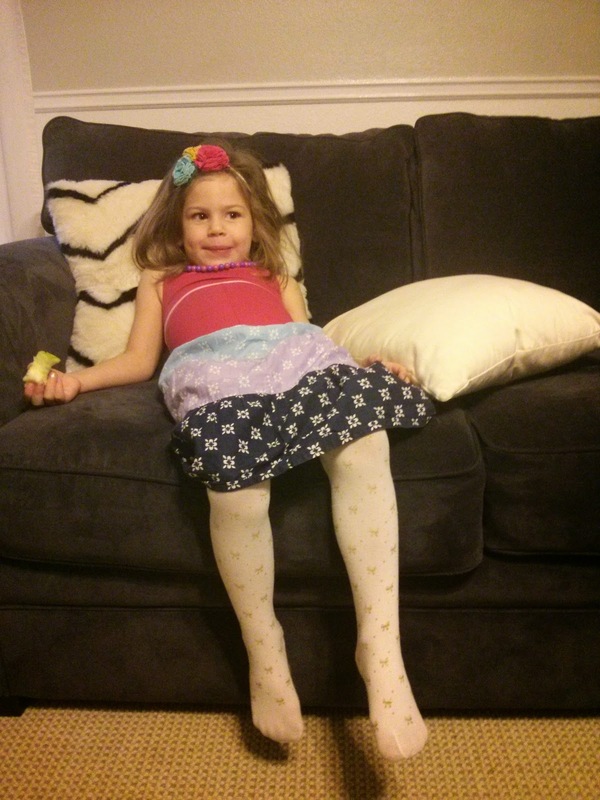 On this particular day, the creatively dressed Faye commented on my (mostly black) outfit: "You look crazy, mom." 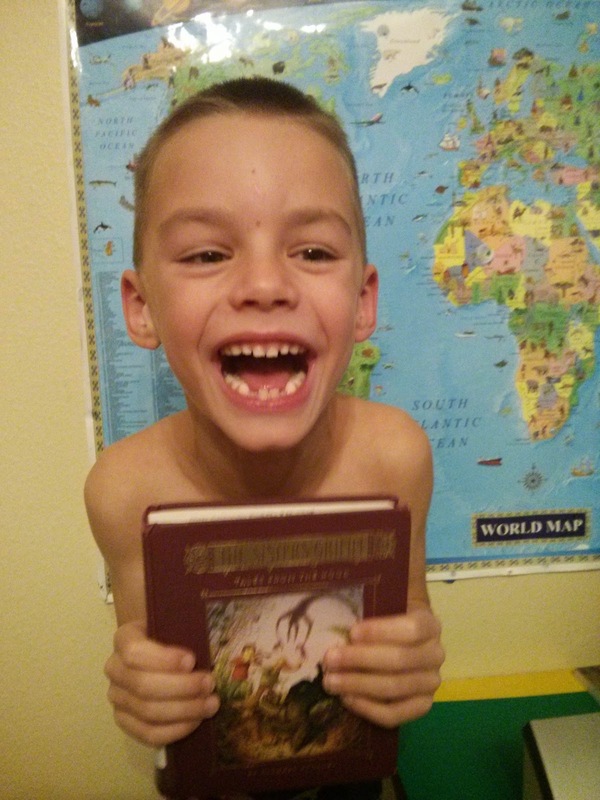 Carson's latest reads include The Sisters Grimm series by Michael Buckley. 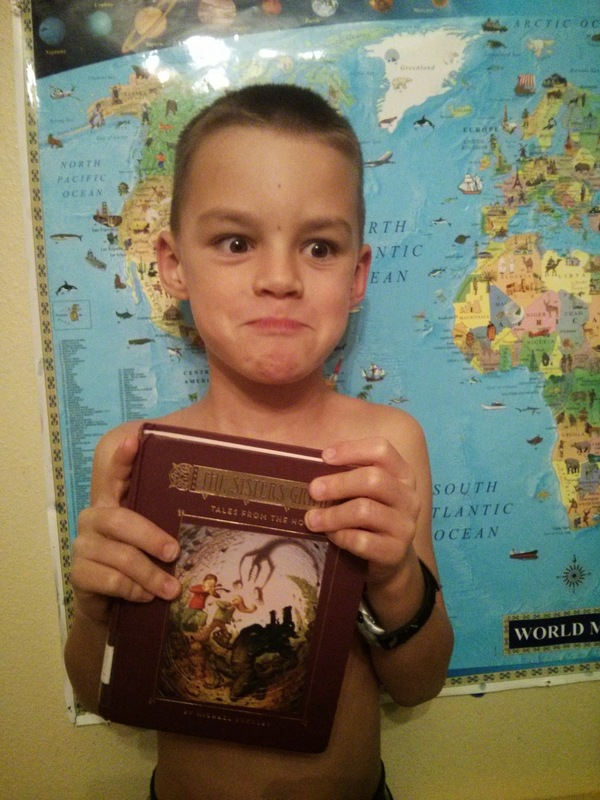 He often had a really, really hard time putting the books down and would be caught reading at 11 p.m.
Not exactly sure what the punishment should be for reading late into the night! 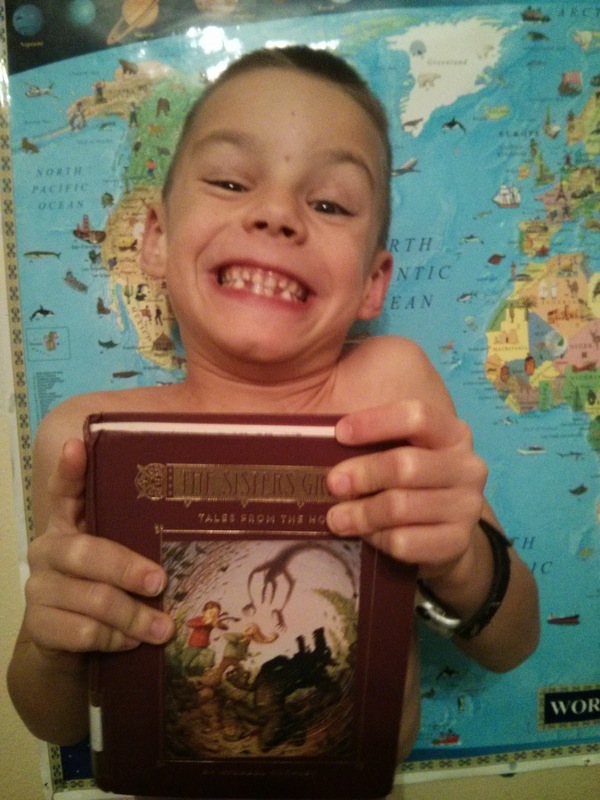 Also, I think Carson might be the only kid in second grade who hasn't lost his two front teeth! 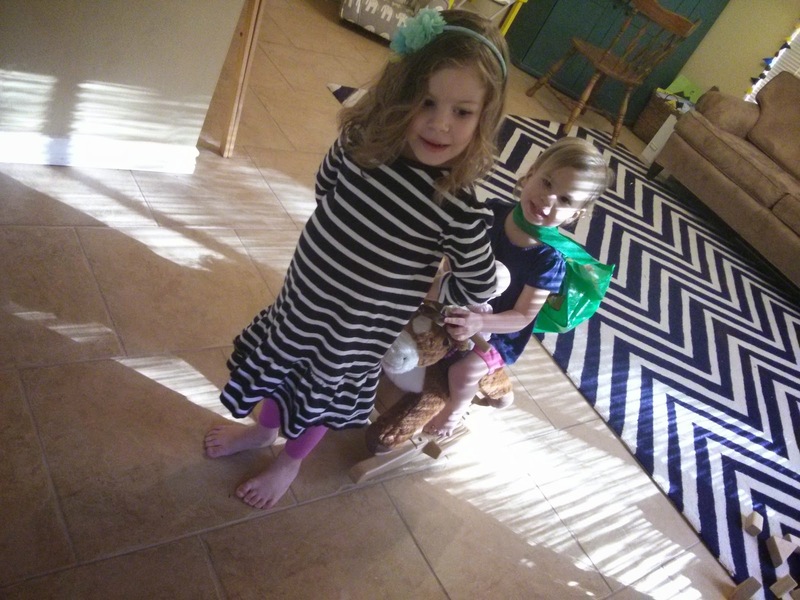 They haven't forgotten about Aunt Mackenzie's horse ride. Here Faye is playing the part of Mackenzie, leading Isla on Mellie. 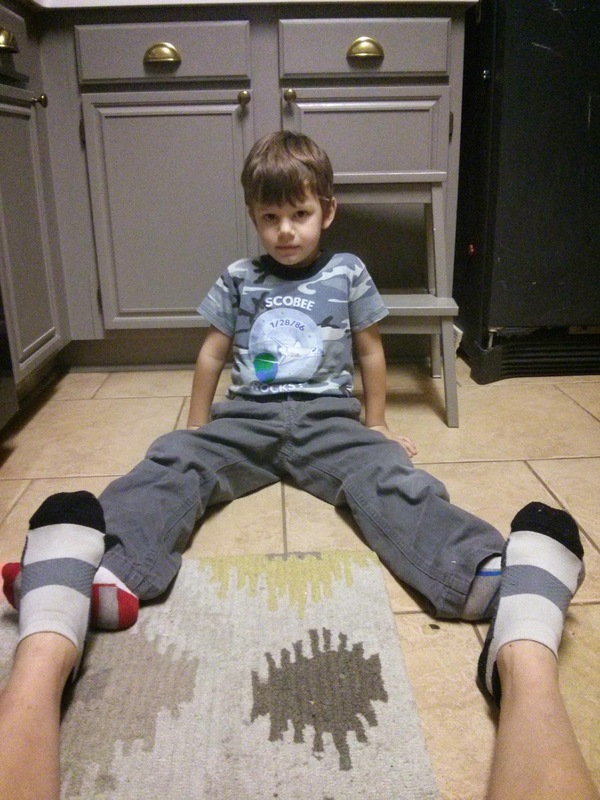 Having some sort of discussion with Everett on the kitchen floor. I think he was showing me something they had done in P.E. Chats with Everett are the best. Lots of reading with this girl. While I read (listened to) Unbroken, I regularly told Carson about the story. 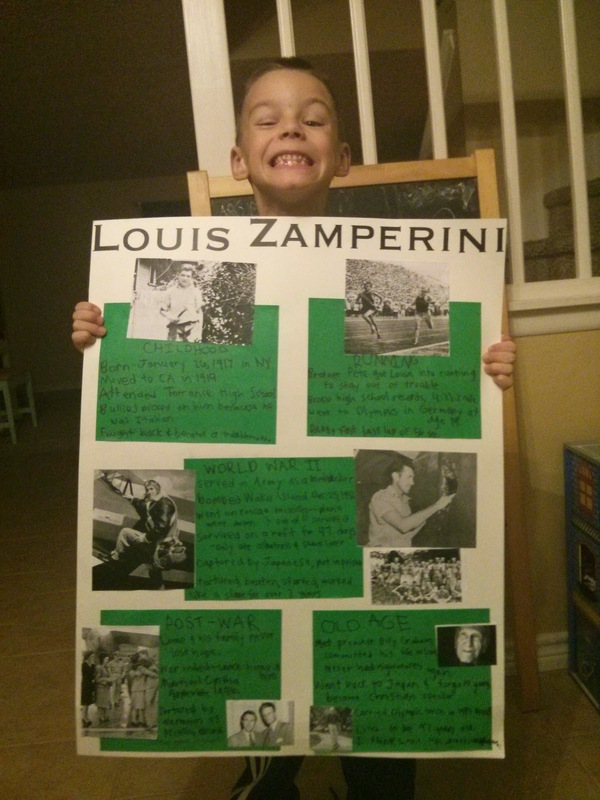 He was quite interested in it, so when he received an assignment to do a biography project he chose to do it on Louis Zamperini. Such an amazing person! 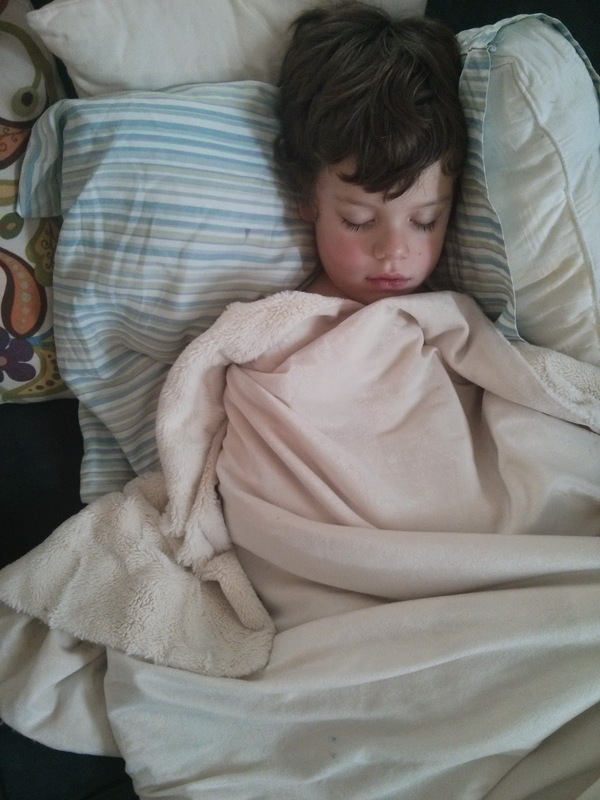 This poor child had a really painful ear infection that lasted for over a week. In retrospect, I should have taken him to the doctor and actually treated him for it! We usually just let things like this heal on their own, but this was pretty bad. If Rick gets home and Carson is still awake, they often play a little catch. 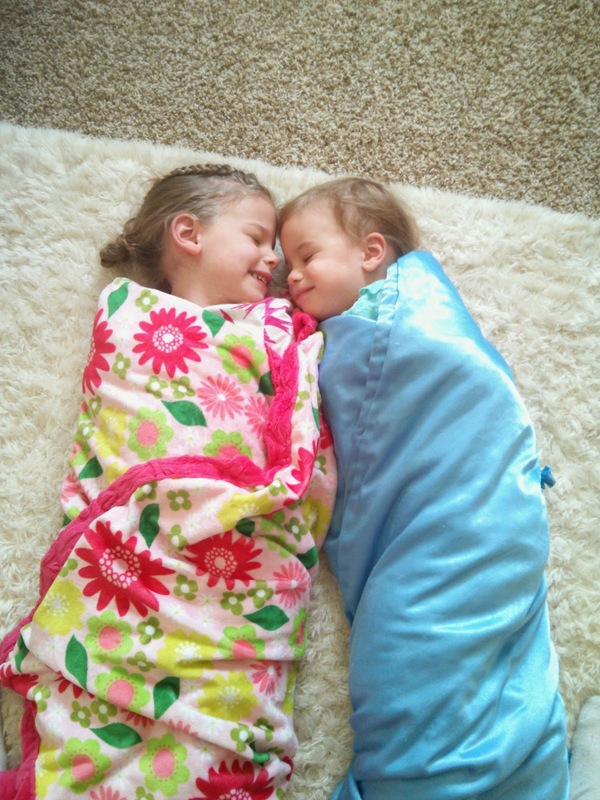 Isla recently moved in to Faye's room, and the two of them are the cutest little roommates ever. Faye frequently helps Isla go to the bathroom and to fall asleep. 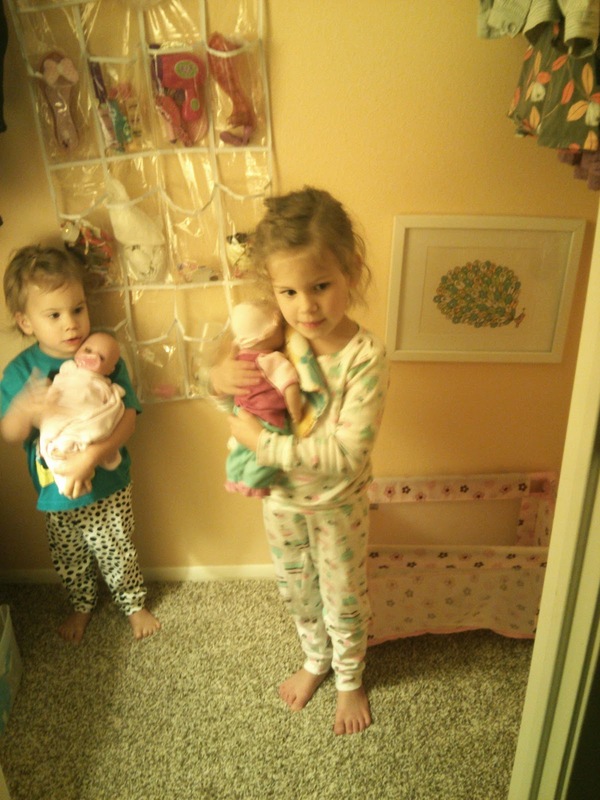 When I was rearranging their things, I had the great idea to convert their closet into a little nursery for their dolls. It has turned out to be such a fun little space! If we have lots of guests over and Faye disappears, I know she's up in the nursery caring for her babies. 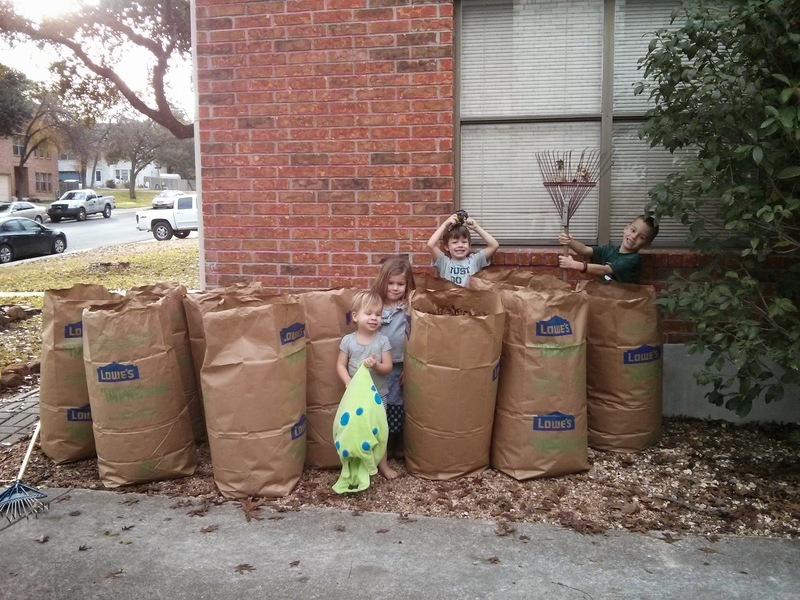 We got to celebrate Christmas all over again when packages arrived from Grandma GJ! This is in Isla's old room, now referred to as "the empty room." 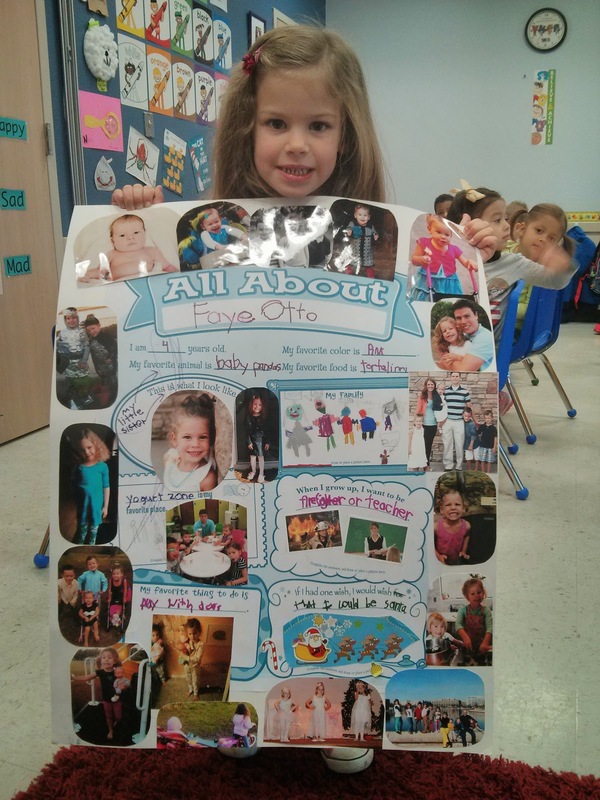 Faye turned four! She has become such a delight. 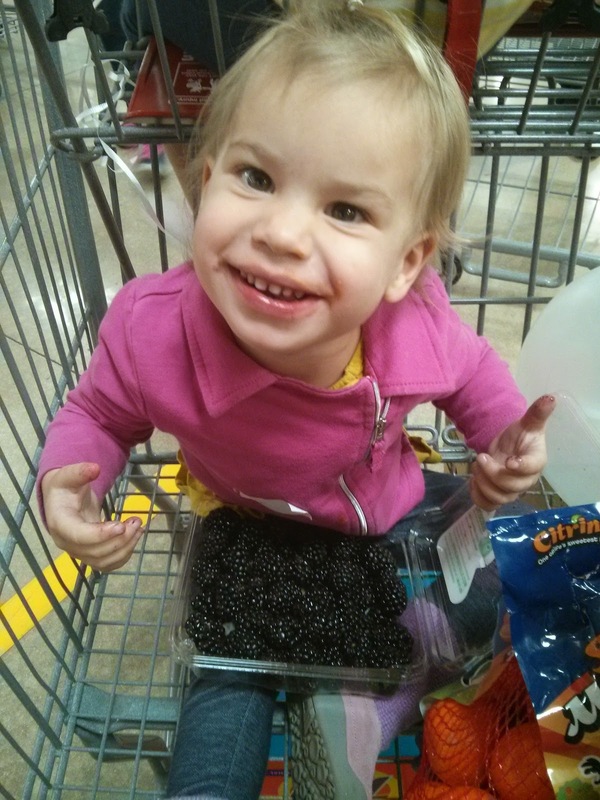 Faye's birthday landed on a day she had preschool, so we brought fruit kabobs and Rice Krispies treats to share. 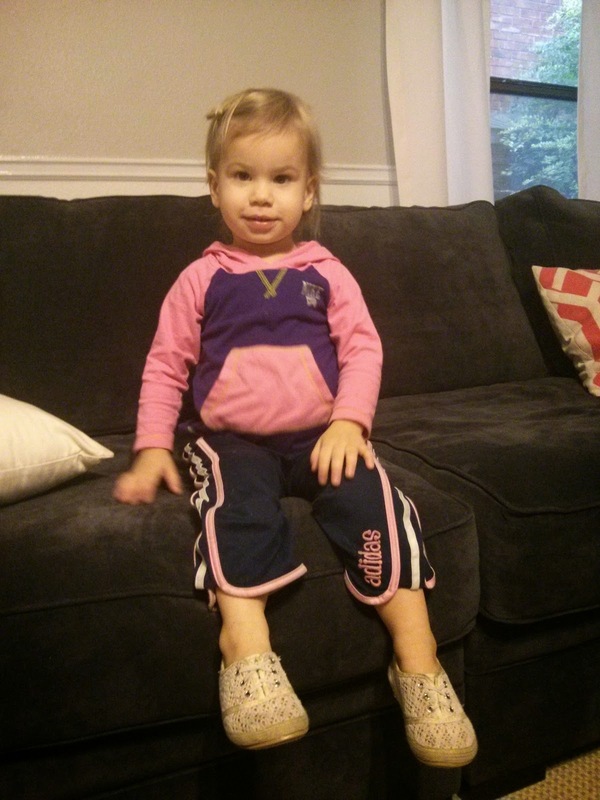 On her birthday we had the treats with the kids, and she opened her presents: tennis shoes, and a Moby wrap! 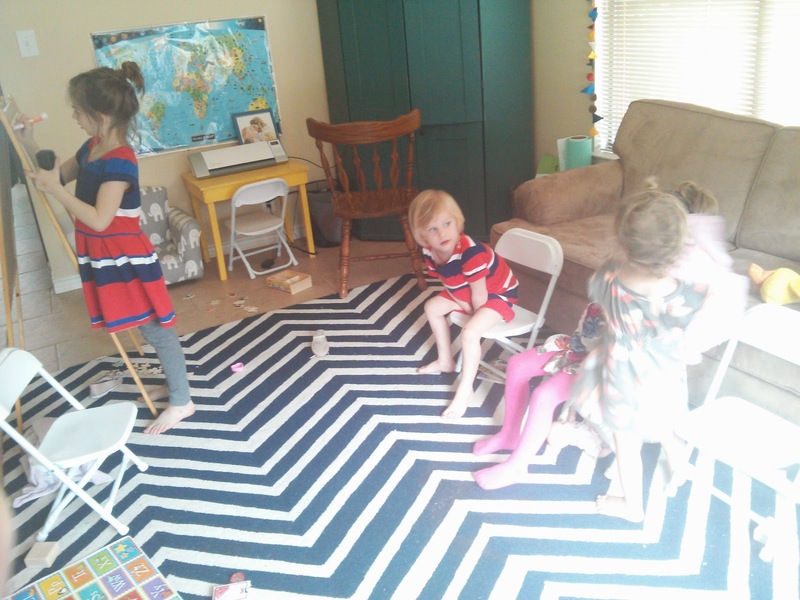 Faye invited friends over for a "Little Mommies" party. The guests brought their baby dolls, and we handed out homemade sleeping bags for each doll. 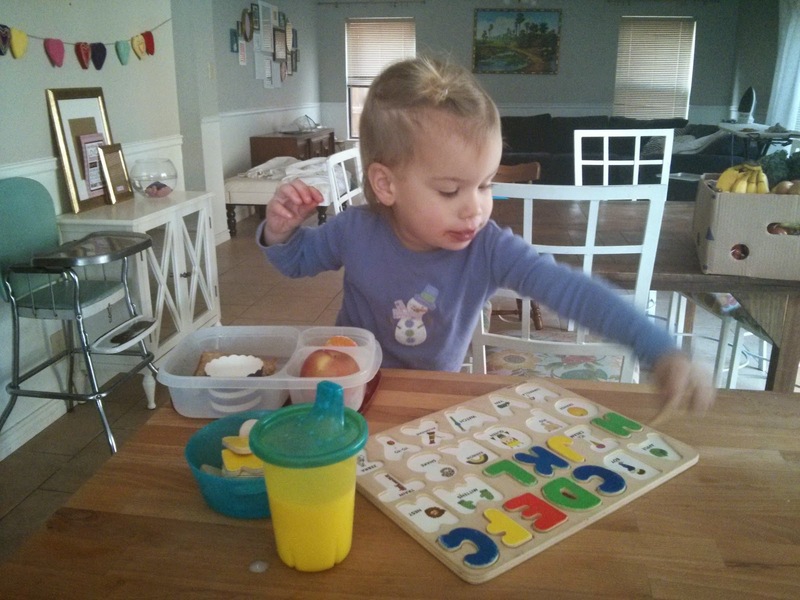 We played games like "Pass the Baby" (hot potato) and "Guess What's Missing" with baby items on a tray. We also had Baby Bingo and Pin the Pacifier on the Baby. 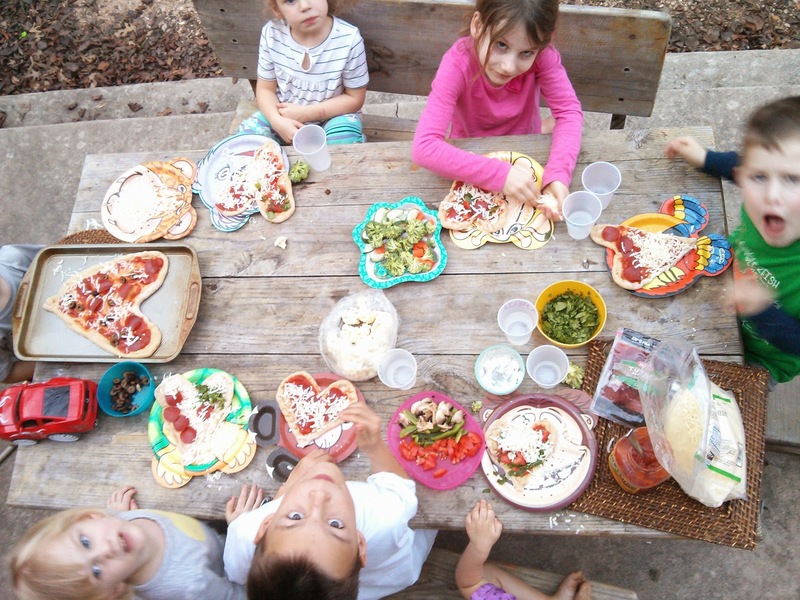 The girls enjoyed a lunch of pizza and sides and a sprinkles cake. 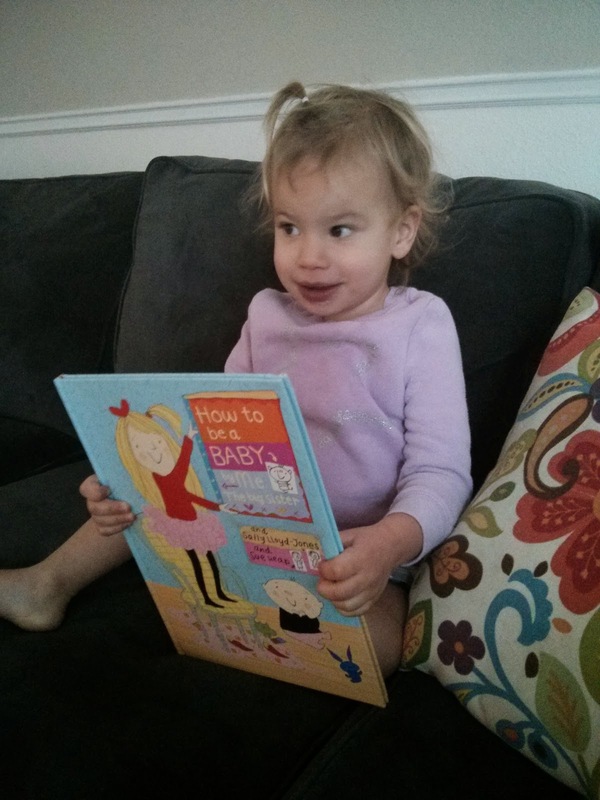 After presents, all the girls and their babies went home with the Little Golden Book, Little Mommy. Such a fun time!